I would like to ask your advice about milking machines. I milk my 3 goats by had twice a day with no problems however in Autumn 2010 I have to attend 2 weddings and so whilst I am away a friend of mine will be staying in my house and tending to my goats. For ease and comfort (for my friend and my goats) I am considering a milking machine to make the task of milking easier whilst I am away but I really cant afford the £1200+ most suppliers charge for a proper two cluster machine. (If anyone has or knows of a second hand one for sale I would be very interested. Reply and I can post up me e-mail address for more details). Anyway looking on the internet there is another option called the Udderly EZ. Its been invented in the USA and is essentially a single cluster attached to a pump handle and a collecting bottle. Aparently it works by putting the cluster over the teat(one at a time), pump the handle a few times to create a vacumm and then watch the bottle fill. Pumping the handle again when the flow stops or slows untill the cistern is empty. It looks quite easy and safe although its a bit annoying it does not milk both halfs of the udder at the same time. Anyway just wanted to ask the opinion of the forum, what do you think? Would you use it or do you think its a bad idea? Would you have to wash it out between goats? Would it damage the udder? It seems like a reasonably inexpensive alternative to hand milking when a friend or neighbour has to provide emergency goat keeping cover? The Udderly EZ milker can be brought in the UK on ebay, just search Milking Machines. Just looked at the site and looks quite good. It sounds alright Daryl, no reason why it wouldn't work. If you get one, I would get the goats used to it before your friend has to use it on them whilst you aren't there. 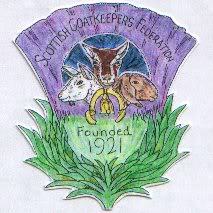 We have recently bought ourselves a milking macjine as we have so many goats just now. We're only milking one through the winter, but we have another 8 to kid this spring. Have to say I haven't brought myself to try the machine yet! Thanks for your advice. Definatley plan to get the goats used to the Udderley EZ before leaving my friend to milk the girls, I think they will get used to it fairly quickly as it looks pretty non invasive but I know how easily upset goats are. Lol. I really would like to buy a proper machine one day but as I am only milking three at the moment and next kidding season this will go up to 5 maximum then I can manage for the time being. I have not put any of my goats into Kid this year even though my 'kid's are ready. I graduated last year and am looking for full time work so untill I am a bit more settled then I thought it best to wait. However I do hope once I have found work to get my 'kids'; Lunar and Leah mated and Dry off my older Girl Clover who is now coming into her 4th year of lactation and amazingly still milking well and looking very well indeed. I have to say they are all spoiled, I spend a fortune on hay, feed and healthcare so I would hope they are gratefull but I doubt it. If I purchase an Udderley EZ ill be sure to write a users review for the magazine. » Instructions on how to make a compost tumbler!